Wkrn News Channel 2 Tenn. Dept. of Transportation Tennessee Department of Transportation engineers will close a short section of Interstate 40 Eastbound near downtown to continue work on three bridges this weekend.Crews will close the part of Interstate 40 Eastbound that stretches from the I-24/I-40 split near 2nd & 4th Avenues to the I-40/I-24 split near Spence Lane.The closure will begin at 8 p.m. Friday and end no later than 5 a.m. Monday. Eastbound traffic will be re-routed onto the Interstate 440, which loops the city's south side. TDOT did the same thing on the westbound lanes of Interstate 40, in the same viscinity, earlier this Spring. TDOT says it worked well then, and they hope for similar success this weekend. TDOT spokesperson B. J. Doughty said, "We have some very viable detour routes in I-440, Briley Parkway, and the last closure that we did on the westbound side went very, very well. We had very minimal problems, and so we hope that this is the better way to do it, to get in, and get it done in one weekend. "Crews will work to replace deteriorating concrete on three bridges this weekend, including one that crosses over Fairfield Avenue, another at Brown's Creek, and a third that crosses over the Interstate 24 ramp. They will also work to repair interstate entrance and exit ramps along the closed section. Visit the Tennessee Department of Transportation's Web site for more information on the bridge repair project. House sponsor confident he has votes to override By Colby Sledge • THE TENNESSEAN • May 29, 2009 Gov. 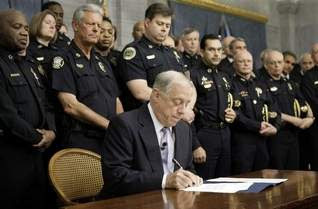 Phil Bredesen, surrounded by law enforcement members from across the state, vetoes the bill that would have allowed handgun permit holders to take their weapons into establishments that serve alcohol. MARK HUMPHREY / ASSOCIATED PRESS Gov. Phil Bredesen vetoed a bill Thursday that would have allowed handgun carry permit holders to take their weapons in bars and restaurants that serve alcohol, sending a message that may prove only symbolic. Bredesen delivered the veto before an assembled group of law enforcement officers, saying that he opposed the bill while supporting Second Amendment rights. "Americans have also understood for more than two centuries that there are sensible rules to be applied to the exercise of those rights," Bredesen said. "I believe this bill crosses that line." The veto is the sixth of Bredesen's tenure. He has never been overridden. Nashville attorney John Harris, executive director of the Tennessee Firearms Association, said Bredesen's veto was "futile" in the face of lawmakers' previous support. "It just demonstrates an amazing amount of arrogance for him to think he can veto this," Harris said. Bredesen said the majority of letters and calls he had received were from supporters of the bill, but added that he didn't think the volume of messages reflected most Tennesseans' opinions. "This is an issue in which a relatively small proportion of people … consider it a very important thing," Bredesen said. "A relatively large number of people think that it's a crazy thing, but that it doesn't rise to the level of writing the governor about it." Supporters of the bill say it will affect only the 218,000 handgun carry permit holders in the state, and could deter criminals carrying guns illegally from shooting someone in a restaurant. Not so, said Metro Police Chief Ronal Serpas, who said he worries about additional bystander injuries in shootings if more guns were involved. "When you actually investigate these cases, someone else wasn't going to make a difference," Serpas said. "These things happen in the blink of an eye." Restaurant owners cheered Bredesen's veto. Boscos co-owner Andrew Feinstone put signs up this month banning handguns in his three Tennessee restaurants, including in Hillsboro Village, in anticipation of the bill becoming law. "I think it's great that the governor vetoed it, and hopefully it doesn't get overridden," Feinstone said. "I don't have anything against guns. I'm a hunter myself, but guns and alcohol — not a great combination." The state currently prohibits anyone from drinking alcohol while carrying a gun in a restaurant. Opponents of the bill say it would be difficult for restaurant owners to determine who had a gun before serving alcohol. Override vote sought Bredesen issued the veto shortly after lawmakers adjourned for the week, saying they would consider their actions before reconvening. "I'd hope they would talk to some of their local law enforcement officers," Bredesen said. "It's easy to get caught in the pressure cooker up here." Collierville Republican Rep. Curry Todd, who sponsored the bill, said he intends to call for a veto override, which could come as early as next week. To override the veto, the House will need 50 votes of its 99 members before sending it to the Senate. There, 17 of 33 members would have to approve the override. The House passed the most recent version of the bill 66-23. The Senate passed the bill 24-7. "I don't think it will be an intense fight at all," Todd said. "We'll have the 50 votes easily." Dickson Democrat Sen. Doug Jackson, who sponsored the bill in the Senate, said he would be slower to decide if he would support a veto override of his party's governor. "I respect the man immensely, I respect his office, and I'm going to thoughtfully listen to what he had to say," Jackson said. "I hope he sat down and listened to the legislative debate." A similar bill allowing handguns in local and state parks is headed to Bredesen's desk after passing in the House this week. Bredesen said he would review the legislation before making a decision. By Michael Cass • THE TENNESSEAN • May 29, 2009 The chief cheerleader for Nashville's proposed convention center and a longtime critic of cities' convention space expansions will debate each other Sunday afternoon. Butch Spyridon, president of the Nashville Convention & Visitors Bureau, and Heywood Sanders, professor of public administration at the University of Texas at San Antonio, will appear at the Steve and Judy Turner Recital Hall at Vanderbilt University's Blair School of Music, 2400 Blakemore Ave. The forum starts at 2 p.m. Spyridon says Nashville is missing out on many big conventions — and the revenue they generate — because its convention center is small and outdated. Sanders says the demand for convention space doesn't match the supply many cities are providing and that cities often add space based on flawed analysis. "Political and business leaders backing the Music City Center project are out there talking up its potential economic benefits for tourism, jobs and downtown development," Councilwoman Megan Barry, one of more than 15 council members sponsoring the forum, said in a news release. "That's all well and good, but a campaign to generate enthusiasm and win support is not the same as a robust debate on the merits of the thing." The Tennessean and other news organizations are co-sponsoring the event. The council is expected to take its final vote Tuesday on Nashville Mayor Karl Dean's $75 million plan to buy land for the proposed convention center south of Broadway, though a construction financing plan is still months away. Channel 5 news (AP) NASHVILLE, Tenn. - Gov. Phil Bredesen has vetoed a bill that would have allowed Tennessee handgun permit holders to take their weapons into establishments that serve alcohol. He made the announcement at a late afternoon news conference Thursday where he was joined by police chiefs and district attorneys from around the state. Bredesen said he hoped the Legislature would reconsider the issue. The measure passed the state House 66-23 and Senate 24-7 earlier this month. A simple majority is required in each chamber to override a veto. Lawmakers agreed to leave out provisions that would impose an 11 p.m. to 5 a.m. curfew for carrying handguns where alcohol is served and keep a handgun ban in place for bars that restrict entry to people over 21 years old. Associated Press • May 27, 2009 About 700 current state employees would lose their jobs under budget cuts proposed by Gov. Phil Bredesen. The Democratic governor's proposal would eliminate 717 filled positions and another 656 vacant jobs. State Finance Commissioner Dave Goetz told lawmakers Wednesday that laid off employees will be offered a severance package to include two years worth of tuition at state colleges and money to help defray the cost of extending their health insurance coverage. State employees earn an average of $41,00 in salary and benefits, so the layoffs are expected to save the state about $30 million. Goetz says the layoffs need to be completed by the end of the next budget year in June 2010. Nashville lawmakers likely to seek ban By Colby Sledge • THE TENNESSEAN • May 27, 2009 A bill to allow guns in state and local parks passed the state House on Tuesday and is now headed to Gov. Phil Bredesen for consideration. The bill, which passed 54-41, allows handgun carry permit holders to take their weapons into all state and local parks. While the measure goes into effect automatically, local governments can ban guns from its parks, something Nashville lawmakers probably will do. Metro Council members passed a resolution last week criticizing the legislature's efforts to dictate gun laws for local parks. 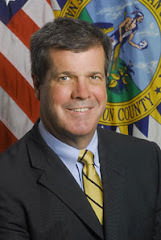 Mayor Karl Dean signed the resolution Friday. Metro Parks Director Roy Wilson said allowing guns in local parks would put children at greater risk in Nashville because many of the city's parks are near schools. "It's totally ridiculous," Wilson said. "You can pick up any newspaper or listen to any newscast on any day, and there are horror stories of violence being committed in our city by people with guns. Why give them another avenue by which to use these guns?" Councilman Erik Cole took issue with the legislature's intrusion into what he sees as a local public safety issue. "We have jurisdiction over all the other pieces of our local parks," said the East Nashville Councilman. "We fund the budget for the local police and the parks department, and it ought to be left to the locality." But Metro Councilman Robert Duvall of Antioch, who favors opening up state and local parks to carry-permit holders, said, "The only people who are going to use guns illegally in parks are the bad guys." "It's time to be able to defend ourselves," said Duvall, who is a handgun carry permit holder. "It's your right as a citizen. We need to protect ourselves and our families." Scope expanded The bill originally applied only to state parks, but the House voted Tuesday to agree with Senate changes that included local parks. Strawberry Plains Republican Rep. Frank Niceley, who sponsored the bill that passed Tuesday, said its format matched that of other gun legislation passed this session, including a bill to allow guns in restaurants that serve alcohol. Like restaurants, parks that do not allow guns would be required to post signs indicating that weapons are banned. "When we passed the carry permit law, we told the private citizens that the permit holders were going to be able to carry on all private property, unless it's posted," Niceley said. "Now then, we're telling the counties that permit holders will be able to carry in all the parks, unless you post it." The bill also would allow handgun carry permit holders from 19 other states to carry their weapons in parks. Bredesen has not indicated what he will do when this or other gun bills come to his desk. By Lori Montgomery • THE WASHINGTON POST • May 26, 2009 WASHINGTON — A new tax on employer-provided health insurance is emerging as a likely option to finance an overhaul of the nation's health-care system, key Democrats say, despite opposition from organized labor and possibly the Obama administration. Critical details have yet to be resolved, including whether to tax the benefits of all workers regardless of income and what portion of their employer-paid insurance premiums to tax. But once-fierce opposition among House Democrats is softening as lawmakers confront their limited options for raising the estimated $1.2 trillion that will be needed to pay for reform over the next decade. "There's a strong sentiment that still exists in the House" against axing employer-provided benefits, said Rep. John Larson, D-Conn., a member of House leadership who sits on the tax-writing Ways and Means Committee. "But we understand how important it is to get a package through." Implementing such a tax would create a tricky political situation for President Barack Obama, who last year spent millions on campaign ads that harshly criticized a similar idea advanced by his Republican opponent, Sen. John McCain of Arizona. But while continuing to express opposition to the proposal, White House officials have repeatedly stated that all financing options are on the table. And some Democrats are calculating how to explain a reversal. That task may have been made easier last week when congressional Republicans proposed using the tax to finance their own health-reform blueprint, lending the idea a bipartisan stamp of approval. Budget shortfall may force deep cuts in Tenn. Disability, children's services brace for funding drop By Chas Sisk • THE TENNESSEAN • May 26, 2009 Raising a child with autism is difficult. Diane Lara is raising two. Heavy lifting, trips to the doctor and sleeplessness — insomnia is frequent in children like hers — are a few of the challenges Lara deals with daily. She relies on the help of caretaking assistants the state provides. But with government leaders in Nashville looking at further cuts, Lara might be dealing with more of those challenges alone. "I'm scared," the Shelbyville mother said last week. "I hate to say it because I'm luckier than some people, but I can't imagine how much more tired I would be having to deal with the two of them all by myself." As the recession continues to drag on, Tennessee's mental disability services and many other departments are bracing for another hit. Two months after declaring that the federal stimulus plan had saved the state from taking drastic measures to balance the budget, state officials now say hiring freezes, layoffs and deep cuts may be needed after all to deal with a sharp decline in tax receipts. The shortfall will force the state to draw deep from the financial reserves that it built up earlier in this decade, officials say. But it also will mean speeding up cuts — possibly even to programs such as mental health, mental disability and children's services — that officials had hoped to phase in gradually over the next few years. "We had to propose reductions, a lot of reductions, in order to make this budget work," said David Goetz, the state's finance commissioner. "Under any circumstance, it's a very, very difficult budget." Services may be slashed The cuts could mean sharp reductions to services like the state-paid personal assistants who help Lara take care of her 17-year-old daughter, Megan, and her 10-year-old son, Nickolas. Both Megan and Nickolas have autism that results in severe learning disabilities. Megan also has a seizure disorder, and Nickolas has cerebral palsy. Lara works part-time as a bus aide, and her husband, from whom she is separated, provides financial support. Backers and opponents line up for hearings By Getahn Ward • THE TENNESSEAN • May 25, 2009 The debate over the May Town Center reaches a crucial stage this week when the Metro Planning Commission holds public hearings on a zoning request that could help determine whether the 1,500-acre project — and its promise of new jobs and more tax money — moves forward. Preservationists want to protect one of the last rural expanses in Davidson County. But developers say that their $4 billion project in the Bells Bend community would give the city an edge over neighboring counties and help attract the next wave of corporate headquarters and the tax dollars they generate. In recent months, developer Jack May and his real estate hired hand, Tony Giarratana, have put on a full-court press. The May Town Center group has hired top lobbyists, lawyers and publicists, and even led a whirlwind promotional tour to see a similar corporate campus and retail showplace in Reston, Va. The idea has been to build support for the massive project that Nashville's May family has spent $28 million on, including land costs. "It really comes down to the question: Which is more important to all of Metro Nashville? Expanding the tax base … or protecting Bells Bend as a unique agrarian landscape that's a natural asset for all of the people in Nashville," said T.K. Davis, associate professor in the College of Architecture and Design at the University of Tennessee-Knoxville. Under the developers' plans, May Town Center would include a 400-acre corporate campus and a 60-acre residential village near a 90-acre town center with hotel and retail shops. Surrounding it all would be 900 acres of green space — including an agricultural research park for Tennessee State University that developers say would help to preserve the area's natural feel. Residents are divided Giarratana's key argument is that Davidson County needs a large corporate campus with walkways, green space, shops and restaurants where people can live, work and play. He says it would help Nashville's core compete with Williamson County, whose tax base has expanded swiftly over the past 15 years, partly from companies relocating to the Brentwood/Cool Springs area and leaving Davidson County behind. "Davidson County has to field a team," Giarratana said, referring to May Town Center as a project that would take two decades or more to build out completely. "We have to be better than the alternatives to be picked over competing cities," he added, "to be picked over a very cool Rutherford County or Cool Springs site." The May Town Center debate has split residents of the surrounding community. Tim Stewart, an engineer and longtime Bells Bend resident, said he's willing to trade a measure of serenity for well-paying jobs and other benefits. "Change scares people, but I can't find a good argument against it when you look at the overall picture," he said of the developers' plans for a mix of office space, retail and residential development. "I'd much rather see this than some kind of industry come in.But Barry Sulkin, an environmental consultant and Scottsboro resident, sees more potential for residents' property taxes to rise as nearby land rises in value as buildings go up. He said he's concerned about the developers' projections that the offices eventually built at May Town Center could employ as many as 40,000 people, almost as many as already work in downtown Nashville. "Bring in urbanization; it just grows — despite the promises. It's the beginning of sprawl in the countryside," he said, adding that if not for the Cumberland River, which has created a natural barrier to Bells Bend, the acreage already would look like West Nashville. "They're not making any more countryside, but they're making more cities," Sulkin said. Keeping jobs at homeSince 1990, more than half of the 12.4 million square feet of office space added in the Nashville area has been built in Brentwood/Cool Springs, according to figures from CB Richard Ellis, a real estate management and research firm. May Town Center proposes developing nearly 8 million square feet of office space over the next 25 years, which Giarratana said could generate $27 million in property taxes in a 12-month period. (He assumes the current tax rate and property values of roughly $180 per square foot.) The project's proposed hotel, residential and retail buildings could bring an additional $23 million in property taxes, assuming conservative values, he projects. Giarratana says those numbers are conservative and could grow to more than $100 million in tax haul per year "upon full build-out." "Davidson County has to snap on its chin strap, stand up and say: 'We're not going to open our back door and let all our companies leave,'" Giarratana said, pointing to a series of what he sees as defections from Davidson to Williamson County, such as Nissan North America's new suburban headquarters. "We're going to compete with them when a company comes to town," he said. Mike Jameson, the Metro councilman who represents downtown, however, is concerned that May Town Center could distract from efforts to redevelop downtown and the East Bank of the Cumberland River. "If we build a business hub like this just to the northwest of downtown, downtown will never be the vital core we've tried to make it become for 20 years," Jameson said. The downtown office vacancy rate hit nearly 20 percent in the first three months of this year, higher than the Nashville area's 12.8 percent overall office space vacancy rate. But Tom Frye, CB Richard Ellis' managing director here, said he wouldn't be concerned about losing corporate tenants from downtown to May Town Center. "As a real estate broker, the more product we have, the happier we are," Frye said, adding that similar fears surfaced in some quarters when Cool Springs was first developed 15 years ago. Giarratana also argues that Davidson County's competition isn't just from Williamson County. In Rutherford County, a development group has a 180-acre tract with plans to build up to 350,000 square feet of office and retail space at what is being called The Offices at Gateway in the Murfreesboro Gateway development. Developers of Indian Lake Village in Hendersonville in Sumner County have been approved for up to 2.5 million square feet of office space, while Wilson County officials are hopeful about chances for a 523-acre development expected to include office space. Other observers suggest that public officials should take a regional approach to development and not pit one county against another. Bob Iannacone, the former Williamson County economic development director, said one county's landing a corporate relocation helps the whole region. "Those dollars keep circulating, and they're helping Davidson County, and they're helping Williamson County," said Iannacone, who calls himself a May Town Center supporter. Under new legislation, private firms couldn't use devices on illegally parked carsBy Michael Cass • THE TENNESSEAN • May 26, 2009 Private businesses won't be able to place tire-locking boots on illegally parked cars under new legislation moving toward a vote in the Metro Council. Police and parking patrol officers will be able to put the tire-locking devices on some vehicles instead of impounding them under a law the Metro Council passed last week. But council members want to prohibit parking lot operators and towing companies from using boots. "It's common sense," said Councilman Robert Duvall, who gave credit to the lead sponsor, Carl Burch, for introducing the bill that gives police another enforcement tool. "Would you rather trust a wrecker guy to boot your car, or would you rather trust a police officer?" The council has been trying to deal with the use of boots — metal locks that stop a car's wheels from turning — for almost two years. A proposed ban on their use by private companies was deferred near the end of the previous council term because some members felt booting was easier on drivers than towing their vehicles. At the start of the new term, the council considered requiring companies to charge drivers the same fee for removing a boot as they charge for getting a vehicle back after it has been towed. That proposal also was deferred as the Metro Transportation Licensing Commission expressed concerns about its ability to enforce any regulations. Police prefer towing vehicles The new law would let police and parking patrol officers — who work for Metro Public Works — put boots on most vehicles that are parked illegally. They can't use them to punish drivers who leave their cars or trucks in a parking spot longer than they paid for. Officers also can lock down a vehicle that's parked illegally for any reason, including "overtime," if the owner "has three or more unpaid parking citations and/or a civil warrant has been issued for the collection of unpaid parking citations," the bill reads. But the Metro Police Department didn't ask for the power to boot and doesn't plan on doing it anytime soon, a spokesman said Friday. "We will closely review the ordinance, but at this moment we do not have any immediate plans to implement a booting process," Don Aaron said. Aaron said police typically tow any vehicle that's blocking traffic or interfering with the public right of way. Bill would prohibit private use The other bill, which could be approved June 2, would take boots out of the hands of any private individual or company other than a vehicle's lien holder. Councilman Jerry Maynard said private use of the devices is wrong. "That's way too much authority to give a private citizen," he said. "It's literally taking possession of someone's private property." Councilman Michael Craddock said it might be possible to give some booting power back to the private sector at some point. "It's not regulated right now," said Craddock, the bill's lead sponsor. "We don't have the resources to regulate it. We will sit down and see if we can make the regulation pay for itself." Channel 2 News WKRN This year Percy Priest Lake is full of people from the mid-state who skipped trips to spend Memorial Day closer to home. "We're actually only out here for today," said Karla Bryant, "we're from Columbia so [we're] just having a good time." The staff at Nashville Shores expects this boating season to be a lot busier than last year, due to more affordable gas prices. "As a result we have seen a lot more boaters coming out this weekend than we did last time, just because it was cost prohibitive with the gas prices last year," according to Daniel Strobel of Nashville Shores. But lower fuel prices don't necessarily mean that a day on a local lake is cheap. "B-O-A-T, bring on another thousand," joked Margie Zaborowski. "Whether it's on the boat or the gear you bring out, you're going to be spending some money." On Sunday, Nashville Shores has a Memorial Day event with concerts and a visit from the 101st Airborne Division. In honor of the holiday, all military, veterans and their families will receive half-off the price of admission. Channel 2 News WKRN One man was shot and killed and a woman was attacked Sunday night at an apartment complex off Nolenville Road in south Nashville. Authorities say the shooting happened after 11p.m. at the Pagoda Apartments, located at 320 Welch Road. According to police, a man attacked a woman inside the apartment and shot and killed a man in the parking lot. Metro's South Precinct Commander Mike Alexander said police do not believe this was a random act of violence and that it may have stemmed from an earlier encounter. "Well, we believe this to be an altercation that may have occurred between known parties over some incident that may have happened earlier," Alexander said. "We don't feel that this is a case of suspects roaming this area at random looking for a pick victim. We feel there was some sort of intent involved in this case from the beginning." Authorities detained and interviewed a witness at the precinct for about four hours. The witness told News 2 the woman inside the apartment had an interaction, or deal, that went wrong with the suspects. The witness said the suspects broke down the door, entered the apartment and severely beat the woman. According to the witness, the man she was in a relationship with saw how badly she was beaten and then ran out into the parking lot where he was shot and killed by the suspects. Authorities are looking for suspects. "Any time we have an incident that involves a loss of life, obviously, out of the parking lot areas where other subjects or innocent bystanders are prone to the violence, any time there is a weapon involved, obviously it's very disturbing to us," Alexander said. "So, the detectives will be working diligently to follow up on the leads we do have in this case." The witness said, after talking to police and giving his statement, he had a feeling officers had an idea who the suspects might be. Call CrimeStoppers at 74-CRIME with any information. Backers and opponents line up for hearings By Getahn Ward • THE TENNESSEAN • May 25, 2009 The debate over the May Town Center reaches a crucial stage this week when the Metro Planning Commission holds public hearings on a zoning request that could help determine whether the 1,500-acre project — and its promise of new jobs and more tax money — moves forward. Preservationists want to protect one of the last rural expanses in Davidson County. But developers say that their $4 billion project in the Bells Bend community would give the city an edge over neighboring counties and help attract the next wave of corporate headquarters and the tax dollars they generate. In recent months, developer Jack May and his real estate hired hand, Tony Giarratana, have put on a full-court press. The May Town Center group has hired top lobbyists, lawyers and publicists, and even led a whirlwind promotional tour to see a similar corporate campus and retail showplace in Reston, Va. The idea has been to build support for the massive project that Nashville's May family has spent $28 million on, including land costs. "It really comes down to the question: Which is more important to all of Metro Nashville? Expanding the tax base … or protecting Bells Bend as a unique agrarian landscape that's a natural asset for all of the people in Nashville," said T.K. Davis, associate professor in the College of Architecture and Design at the University of Tennessee-Knoxville. Under the developers' plans, May Town Center would include a 400-acre corporate campus and a 60-acre residential village near a 90-acre town center with hotel and retail shops. Surrounding it all would be 900 acres of green space — including an agricultural research park for Tennessee State University that developers say would help to preserve the area's natural feel. Residents are divided Giarratana's key argument is that Davidson County needs a large corporate campus with walkways, green space, shops and restaurants where people can live, work and play. He says it would help Nashville's core compete with Williamson County, whose tax base has expanded swiftly over the past 15 years, partly from companies relocating to the Brentwood/Cool Springs area and leaving Davidson County behind. "Davidson County has to field a team," Giarratana said, referring to May Town Center as a project that would take two decades or more to build out completely. "We have to be better than the alternatives to be picked over competing cities," he added, "to be picked over a very cool Rutherford County or Cool Springs site." The May Town Center debate has split residents of the surrounding community. Tim Stewart, an engineer and longtime Bells Bend resident, said he's willing to trade a measure of serenity for well-paying jobs and other benefits. "Change scares people, but I can't find a good argument against it when you look at the overall picture," he said of the developers' plans for a mix of office space, retail and residential development. "I'd much rather see this than some kind of industry come in." But Barry Sulkin, an environmental consultant and Scottsboro resident, sees more potential for residents' property taxes to rise as nearby land rises in value as buildings go up. He said he's concerned about the developers' projections that the offices eventually built at May Town Center could employ as many as 40,000 people, almost as many as already work in downtown Nashville. "Bring in urbanization; it just grows — despite the promises. It's the beginning of sprawl in the countryside," he said, adding that if not for the Cumberland River, which has created a natural barrier to Bells Bend, the acreage already would look like West Nashville. "They're not making any more countryside, but they're making more cities," Sulkin said. Keeping jobs at home Since 1990, more than half of the 12.4 million square feet of office space added in the Nashville area has been built in Brentwood/Cool Springs, according to figures from CB Richard Ellis, a real estate management and research firm. May Town Center proposes developing nearly 8 million square feet of office space over the next 25 years, which Giarratana said could generate $27 million in property taxes in a 12-month period. (He assumes the current tax rate and property values of roughly $180 per square foot.) The project's proposed hotel, residential and retail buildings could bring an additional $23 million n property taxes, assuming conservative values, he projects. Giarratana says those numbers are conservative and could grow to more than $100 million in tax haul per year "upon full build-out." "Davidson County has to snap on its chin strap, stand up and say: 'We're not going to open our back door and let all our companies leave,'" Giarratana said, pointing to a series of what he sees as defections from Davidson to Williamson County, such as Nissan North America's new suburban headquarters. "We're going to compete with them when a company comes to town," he said. Mike Jameson, the Metro councilman who represents downtown, however, is concerned that May Town Center could distract from efforts to redevelop downtown and the East Bank of the Cumberland River. "If we build a business hub like this just to the northwest of downtown, downtown will never be the vital core we've tried to make it become for 20 years," Jameson said. The downtown office vacancy rate hit nearly 20 percent in the first three months of this year, higher than the Nashville area's 12.8 percent overall office space vacancy rate. But Tom Frye, CB Richard Ellis' managing director here, said he wouldn't be concerned about losing corporate tenants from downtown to May Town Center. "As a real estate broker, the more product we have, the happier we are," Frye said, adding that similar fears surfaced in some quarters when Cool Springs was first developed 15 years ago. Giarratana also argues that Davidson County's competition isn't just from Williamson County. In Rutherford County, a development group has a 180-acre tract with plans to build up to 350,000 square feet of office and retail space at what is being called The Offices at Gateway in the Murfreesboro Gateway development. Developers of Indian Lake Village in Hendersonville in Sumner County have been approved for up to 2.5 million square feet of office space, while Wilson County officials are hopeful about chances for a 523-acre development expected to include office space. Other observers suggest that public officials should take a regional approach to development and not pit one county against another. Bob Iannacone, the former Williamson County economic development director, said one county's landing a corporate relocation helps the whole region. "Those dollars keep circulating, and they're helping Davidson County, and they're helping Williamson County," said Iannacone, who calls himself a May Town Center supporter. Get with neighbors, watch groups, associations and various community organizations to go green, clean-up, spruce up, clean out District 29. Hosted by the Alliance of District 29, this will be our day for you to get together with you neighbors and clean up your immediate area. Whether it is pulling up signs in the public right of way, picking up trash or planting trees/flowers, it is all about looking good in the neighborhood. 2) Throw away large appliances/furniture etc. 5) Donate your soda can tabs to Ronald McDonald House. From 12 noon to 1 pm, free hamburgers, hot dogs, water and soda will be served as you fellowship with your neighbors. It will be fun and it won’t be GREAT unless you participate. District 29 residents/community organizations are asked to contact Juanita Veasy, Beautification Commissioner of District 29 @ 399-6746 or Lena Brown Prince at 366-3728 for District 29 Great American Clean-up day. Or contact Vivian at 589-2003. Visit the blog daily for up to date information. Compromise would shield fund, extend benefits By Chas Sisk • THE TENNESSEAN • May 20, 2009 Legislation that would extend benefits for jobless workers and rebuild the state's unemployment fund is advancing in the Statehouse after Republicans and Democrats reached a compromise. House and Senate panels are scheduled to vote today on a package of changes to the unemployment laws that would affect workers and employers. The changes, which were brought on by the recession and the federal stimulus plan, temporarily would increase taxes on employers by about $110 a year per worker but also would give unemployed workers as much as 20 more weeks of benefits. The 20-week extension would help people like Jim Giordano, a technology marketer who has been looking for a job for several months. Giordano says unemployment benefits have been just enough to cover health insurance for his family while he searches for a new position. "This buys me some time to get a job that's right," the Nashville resident said. The legislation, HB 2324, is not expected to be controversial. The benefit expansion would be funded using the $141 million the state expects to receive through the federal stimulus. Meanwhile, business groups have signed off on the tax increase because it will save the unemployment fund from bankruptcy. Bankruptcy would mean a federal takeover of the fund and result in even higher taxes in the long run. The fund has about $300 million, down from about $600 million before the recession. The compromise plan has been endorsed by Gov. Phil Bredesen and the legislature's Republican and Democratic leaders, who met last week to negotiate details. "This will end up saving money for Tennessee businesses," said Nashville Rep. Gary Odom, the House's Democratic leader. Staving off insolvency The bill is actually two measures rolled into one, each dealing with a separate issue that has emerged as unemployment has rocketed higher in the past year. The legislation's main purpose is to stave off insolvency for the unemployment fund, which is expected to run out of money next year unless taxes are increased. Bredesen outlined a plan to rescue the fund in March by raising taxes six-tenths of a percentage point and increasing the portion of worker pay that is taxed, from $7,000 to $9,000. Republicans agreed to the increases in principle but wanted the bill amended to roll them back once the trust fund is rebuilt. "We think the compromise is an improvement," said Jim Brown, state director for the National Federation of Independent Business, which represents small and independent businesses. "There is more relief at the end of the road for businesses." Meanwhile, the bill also would put into place benefit expansions required by the federal stimulus. Those expansions include giving out-of-work people 20 more weeks of benefits, covering people who are looking for part-time employment and creating an allowance of $15 per child for unemployed parents. The measure also expands eligibility rules governing the amount of time a worker needs to have been on the job, a move that is expected to qualify about 12,000 more people. The stimulus funds would cover those changes in full for at least five to six years, state finance officials said. If the state had opted not to make the changes, it would have been forced to forfeit stimulus funds for unemployment. By Michael Cass • THE TENNESSEAN • May 20, 2009 Mayor Karl Dean's convention center plan took another important step Tuesday as the Metro Council showed strong interest in buying land for the project before knowing how it would pay for construction. The council voted 33-3 on the second of three required votes for a proposal to borrow $75 million to buy 15.87 acres south of Broadway. A final vote is expected June 2. "Tonight we stand on the brink of progress and moving forward," Councilman Sam Coleman of Antioch said before the vote. Dean's administration has said the city needs to start buying land now to get the convention center built by 2013, when three large meetings are booked. But the mayor doesn't plan to bring a construction-financing plan to the council for another few months. Councilman Robert Duvall, who represents another part of Antioch, said his constituents are overwhelmingly opposed to buying land before knowing how the city would pay for the facility. Duvall, Michael Craddock and Eric Crafton voted against acquiring the land; Emily Evans, Jason Holleman, Mike Jameson and Carter Todd abstained. Todd is a senior executive at Nashville-based Gaylord Entertainment, which operates Gaylord Opryland Resort & Convention Center here. The downtown convention center is expected to cost $595 million. Parking facilities would cost an additional $40 million. Metro plans to pay off its construction debt for those buildings with a series of taxes and fees aimed at tourists. A convention center hotel could cost an additional $300 million. The mix of public and private financing for that building is still being determined. Crafton tried to amend the land acquisition proposal to force the city to hold off on buying land until it has a guaranteed maximum price for construction of the convention hall. But Metro Finance Director Rich Riebeling said waiting for a guaranteed maximum price would set the project back six months. Crafton was more successful with an amendment calling for a "transparency Web site" detailing revenues for the project and expenses during the "pre-development" and land acquisition stages. The council approved that change, 35-4. Dean's administration and the Metro Development and Housing Agency, which is spearheading the convention center project, have until Aug. 1 to get the Web site up and running. The city has spent $9 million on pre-development activities such as architectural designs. Associated Press - May 19, 2009 3:55 PM ET NASHVILLE, Tenn. (AP) - Federal prosecutors have accused the owner of a Nashville home health care company and a St. Louis attorney of defrauding Medicare out of more than $6 million. The civil complaint announced Tuesday alleges that Careall Inc. owner James W. Carell and lawyer Robert Vining devised a scheme to hide the true ownership of 3 home health care agencies. Prosecutors say the scheme evaded Medicare rules that limited a home health agency owner's compensation but covered fees to a management firm as long as the companies weren't related. Carell didn't immediately respond to a message seeking comment Tuesday. There was no answer at a phone number listed for Vining. The government is trying to recover the $6 million plus damages of 3 times that amount and penalties. Copyright 2009 The Associated Press. All rights reserved. This material may not be published, broadcast, rewritten or redistributed. By Naomi Snyder • THE TENNESSEAN • May 18, 2009 Like a lot of other workers, Cory Miller watched his retirement plan tank last fall. Shortly after, his employer also announced it would suspend its own contributions to the plan, a 50-cent match for every $1 he contributed. "I wasn't happy about it,'' said the 24-year-old FedEx driver. "That's money you're losing, and I valued it." It was one of a long list of cost-saving measures announced last December as FedEx responded to declining business, although it has remained profitable. Its cuts included layoffs of salaried employees and reduced work hours for drivers such as Miller. Competitor UPS announced similar measures a few months later, after it reported profits fell 25 percent to $1.38 billion during the fourth quarter of last year. Just like during the last stock market bust earlier this decade, employers are yet again suspending or eliminating their contributions to 401(k) plans to save cash. But this time, more of them are doing it and the trend is crossing multiple industries. Local employers who are doing it include automakers and suppliers such as GM, Tenneco and Visteon; financial institutions such as Regions Financial Corp. and Willis Group Holdings, an insurer with 600 employees in Nashville; and retailers such as Macy's, Belk and Stein Mart. More than 100 companies have announced such plans, according to the Center for Retirement Research at Boston College. Although the moves are expected to be temporary for most employers, they raise questions about the long-term feasibility of retirement plans that depend on steady contributions from employees and employers. "We're hoping to bring it back as soon as we can," said Jim Schmitz, the Nashville-area executive for Regions. He noted that the company has avoided layoffs for several months. "From the response of associates, I think everybody understood it," Schmitz said. "You have different options on how to manage your expenses." Companies' 401(k) cutbacks come when workers already are getting hit across the board by reduced wages, reduced hours, hiring freezes and higher health-care premiums — if they still have a job. Of course, there's a lot else that Miller would like rather than just a 401(k) contribution from his employer. He'd also like a full-time job, which he hasn't been able to nab so far at FedEx. He's guaranteed 17.5 hours right now (at $14 an hour), and sometimes gets to work more hours, he said. Miller is considering a return to school to get an accounting degree in hopes of improving his prospects. He graduated from Middle Tennessee State University in December with a degree in business finance. He worked for FedEx part time throughout his college years. Last fall, he watched his brand-new retirement plan slip from about $1,000 to a couple of hundred dollars when the stock market plummeted. With his youth, Miller will have lots of time to make up any losses. Not everyone is so fortunate. Overall, close to $4 trillion dollars was lost in retirement accounts, including 401(k) programs and pensions, during a one-year period ending in October 2008, according to the Center for Retirement Research. The Wall Street crash and the evaporation of some 401(k) matches have helped fuel questions about the viability of such plans as a way to fund retirements. "When you contribute only when times are good, you get all the losses,'' said Dan Muldoon, a research associate at the Centerfor Retirement Research. "When you keep contributing, you earn something when it starts to swing back up." But many companies have announced that they won't begin matching contributions again until sometime after this year. Pensions dying breed Pensions with guaranteed benefits have almost disappeared for most workers, leaving many employees with only a 401(k) match and their own savings as a way to get ready for retirement. Only 10 percent of the private-sector companies offer a pension, according to the U.S. Department of Labor. But 44 percent of private industries offer something like the 401(k). The government's latest projections are that Social Security will run out of money in 2037, just in time for today's 30-somethings to retire. It's not just employers who are cutting back on 401(k) contributions. In some cases, so are the employees themselves. Analysts and financial planners say more people have trouble finding extra money as they grapple with tighter family budgets or job loss. Mercer, the human resources consulting firm, estimates that employers have seen the overall contribution amount to 401(k) plans fall 6 percent in the first quarter of this year, said Cynthia Zaleta, a principal in the firm's Atlanta office. In past recessions, some companies froze pension plans and never came back when the recession was over, she said. This time, the industry doesn't expect that to happen to the 401(k) accounts. "It is easier to restart a match than unfreeze a pension,'' said Kevin Sullivan, a consulting actuary at Bryan, Pendleton Swats & McAllister, a benefits consulting firm in Brentwood. The 401(k) match has become increasingly important to keeping talented employees on board, Zaleta added. She noted that many companies have kept their 401(k) matches during this recession, even when they made cuts in other areas — for instance, eliminating jobs in an unprofitable unit or reducing work hours. "We're going to come back out of this," Zaleta said. "Are you going to think about those employees you need when we come out of this? You don't want to lose that brain trust. You may not be able to get them back." Agency will close Green Hills Center, forfeit land holdings By Clay Carey • THE TENNESSEAN • May 18, 2009 Easter Seals Tennessee, which provides job training, recreational services and daily help to mentally and physically disabled children and adults, will seek Chapter 11 bankruptcy protection as soon as today to get out from under the $10 million it owes its banks, its top officials told The Tennessean. As part of that process, Easter Seals will close a fitness center it operates on Woodmont Boulevard that serves more than 200 clients, many of them senior citizens. It also will forfeit land in Green Hills and Wilson County to the banks it owes. "This will allow us to reorganize, eliminate these debts and continue on as an organization," Bill Andrews, chairman of the Easter Seals Tennessee board of directors, said Friday. Mary Martin's chiropractor referred her to the Turner Family Health Center five years ago for aquatic aerobic therapy to treat scoliosis. Its heated pool is one of the few in the Nashville area warm enough to do the job. "To me, it was a godsend. I've been able to garden and be active," Martin said. "It's just really sad. … There will be a lot of people whose lives will deteriorate because of this." The center's last day is a week from Friday, said Susan Armiger, CEO and president of Easter Seals Tennessee. "It's going to be very difficult for people who come to (the center)," she said. "We've known for some time if we couldn't keep the building we couldn't continue these programs." The bankruptcy won't affect other agency undertakings, including assisted living programs in West Tennessee and an effort to help disabled farmers, Armiger said. She and Andrews say the agency's financial struggles are rooted in an ambitious building project that began a decade ago in Green Hills, which has some of the priciest land in Nashville. It was the primary source of the debt that, along with the economy, they blame for a huge drop in charitable donations. Cuts proved insufficient In the past two years, the agency has cut programs, slashed staff and closed a child development center to save cash. It has tried unsuccessfully to sell its headquarters in Green Hills and a 100-acre campground on Old Hickory Lake. "This market just doesn't have any buyers for the property," Andrews said. "We finally came to the conclusion that it would be better to go ahead and file Chapter 11 and have the courts resolve this with our creditors." Easter Seals closed the campground last year when it went on the real estate market. The agency has partnered with other groups that own campgrounds, like the Boy Scouts, to continue its camping program. It was hard for Sandy Jenkins, whose adult daughter has cerebral palsy, to hear about the looming bankruptcy filing. "I guess we kind of knew it was in the wind," said Jenkins, a Lebanon resident who credits Easter Seals with transforming the life of her daughter 20 years ago. "It's awful. I know times are hard for everyone, and charities are the first place people stop giving." Building loans hurt In 1999, Easter Seals Tennessee opened the doors to the Turner Center, which included a fitness center and the aquatic therapy pool. Four years later, the $3.9 million McWhorter Child Development Center came along next door. Together, they occupied 4½ high-profile acres on Woodmont Boulevard. Easter Seals Tennessee's board of directors borrowed money to construct the buildings when fundraising campaigns fell short. Those loans are responsible for much of its current debt. "This organization got into this situation because they started to develop programs and build buildings with some capital funding and promises of continued capital funding, but not the money in the bank," Andrews said. "You just can't depend upon donations being there for you to fill interest costs and things of that type. You've got to be able to cover those things with money in your hand. I think that's the big mistake here." Jayne Perkins, Easter Seals Tennessee's CEO from 1985 to 2005, could not be reached for comment on the Chapter 11 filing. Former Easter Seals board members Cal Turner Jr. and Sam Howard declined comment on the filing. Both men were on the Easter Seals board in the late 1990s; Howard remains on the board today. 'Sensitivity to debt' Nashville attorney Aubrey Harwell Jr. joined the Easter Seals board just after the Turner Center was completed. He left the board in 2002, just before the organization built the children's center. "There was always some sensitivity to the debt" associated with the Turner Center, but contributions were strong at the time and there were few financial problems, Harwell said. Construction of the McWhorter Center changed that. "It is one thing to build," Harwell said. "But to have enough money to build, service your debt and handle operational needs — that's a different horse. Donations plunge Donations to Easter Seals this year are about 40 percent below expectations. Armiger and Andrews attribute that to the economy, which has reduced giving nationwide, and the debt. "When you're in this type of problem, with all this debt, it's hard to go out and raise money," Andrews said. "People don't want to give money to pay off debt." Initially, the bankruptcy filing may turn off potential donors, Andrews said. But in the long term, he believes any stigma from Chapter 11 will be easier to overcome than the stigma of $10 million in debt. If the restructuring goes well, Easter Seals could win back donors who might have shied away from the debt load, said Lewis Lavine, president of the Nashville-based Center for Nonprofit Management. "The concern in the community has been that they will not be viable," Lavine said. "With this move, they can have a clean slate." Wkrn.com Channel 2 News Beginning July 1, pharmaceutical giant Pfizer will be offering many of their popular medications to those who qualify for free. Viagra, Lipitor and Celebrex are among the list of 70 prescription drugs people can apply to receive at no cost. To qualify for Pfizer's free drug program, applicants must be uninsured with no prescription drug coverage, have become unemployed on or after January 1, 2009 and have taken a Pfizer medication for at least three months prior to losing their job. It is estimated that 46 million Americans do not have health insurance, and that number has climbed by hundreds of thousands recently due to the economic recession. Pfizer won't say how much the free program will cost but its employees are helping foot the bill. Even if it is part PR move, pharmacists think it's a great idea. While some may claim the free drug program is a PR move, pharmacists like Tommy Malone think it's a great idea. He told News 2, "As long as people who need medication get medication then it's a good deal. I don't care who benefits." The application process is already underway. 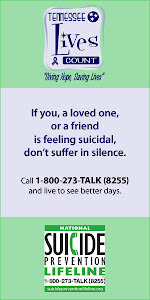 To find out if you qualify, call 1-866-706-2400 or visit Pfizer.com. The program begins July 1. If approved, the free prescription drugs will last for one year, or until the participant finds a new job. Tennessean Today's Topic: Hard times test Metro budget Our View In an enormously daunting budget year, it should be said that Nashville Mayor Karl Dean has remained largely committed to priorities he outlined since he first ran for office in 2007. Sticking to campaign commitments should not go unnoticed. Dean has submitted both an operating budget and a capital budget that maintain the basic commitments he made as a candidate and has demonstrated as mayor. He has kept that focus despite a historic economic slump. In fact, revenues have declined by $27 million, and the city is looking at a 2.24 percent decrease in its budget. It should also be said here that despite sharp demand for new money, Nashvillians are seeing no great pleas for tax increases at the local, state or national levels. Leaders appear to be keenly aware of the financial constraints being felt and are resisting notions of tax increases. Dean is following the same sensible path by recommending no property tax increase for the coming fiscal year. Dean's latest budget proposal maintains established funding for Metro schools and continues attention to public safety and broad economic goals. Naturally, there is pain in the budget in order to work with a decrease in revenue and a vow not to raise taxes. The largest pain is in layoffs. Metro would lay off at least 100 workers and eliminate up to 180 vacant positions. The mayor also would suspend bonuses. Further, his plan would make 10 percent cuts in many Metro departments, and he recommends substantial reductions in Metro's vehicle fleet. It stands out, then, that the mayor would still emphasize a commitment to mass transit, including a rapid transit line on the Gallatin Road corridor — another original campaign commitment and an excellent step forward in that area. Meanwhile, the proposal, while not eliminating the services, does call for significant cuts in hours at the public library and at community centers, as well as reductions in the frequency of mowing grass and the level of maintenance crews. It might sound like an easy call to reduce hours in libraries and recreation, but the city should recognize that those are the very types of places that offer quality time for the city's young people. Limiting time spent in libraries and community centers creates more idle time for those children, which can kindle trouble. A major problem for Nashville, like cities across the country, is the public health facility, Nashville General Hospital at Meharry. Dean proposes to forgive a $32 million line of credit to the hospital authority, but the agency will still have a $2 million deficit. The solution for General is meaningful national health-care reform. No mayor, council member or local hospital administrator can solve this problem. It is bigger than their powers. National leadership on health care is crucial. The highlight of the mayor's capital budget list is the 28th Avenue connector, which would link health-care facilities, higher education institutions and commercial traffic in ways that would correct the dissection of part of the city by the construction of I-40 years ago. Metro's capital projects had been put on hold by the credit freeze, but the prospects of updating the city's wish list are encouraging. No one could say they like the Dean budget proposal. It is a lean serving for lean times. But there is an air of responsibility in it that serves Nashville well at this point. The Metro Council has the ball now. The council should take the proposal, recognize its strengths, and shore up important areas where it can. There is little room to maneuver in these economic conditions. The next two weeks, cops will target unbuckled drivers and passengers By Christina E. Sanchez • THE TENNESSEAN • May 17, 2009 Fewer people died on Tennessee's roads last year than in any year since 1960. One reason, safety officials say, is that more people are buckling up. Of the 1,033 people killed in traffic accidents in 2008, more than half weren't wearing seat belts, said Kendell Poole, director of the Governor's Highway Safety Office. State and local law enforcement officers across Tennessee will spend the next two weeks aggressively checking and looking for drivers and passengers who aren't strapped in. The enforcement effort, part of a nationwide Click It or Ticket demonstration, begins Monday and runs through the last day of the month. While safety advocates applaud the campaign, some drivers believe they should have the choice to buckle up or not. "I think this is an incident of the nanny state telling us what to do and how we should live," said Michael Neth, who lives in Murfreesboro. "There are other things that are clearly problems. Many people don't care to use their turn signals. Police rarely stop them." Tennessee is one of 22 states that allows officers to stop and ticket a person solely for not wearing a seat belt. The 2004 law says every person in the car, regardless of age, must be buckled in. Violators are fined $10 for the first offense and $20 for each one thereafter. The Click It or Ticket program includes education and enforcement components, with checkpoints and advertising campaigns planned throughout the state, said Laura McPherson, spokeswoman for the Tennessee Department of Safety. "The Tennessee Highway Patrol will hold more than 80 sobriety and driver's license checkpoints and conduct saturation patrols across the state," McPherson said. Proper shoulder belt use vital Poole, of the Governor's Highway Safety Office, and other advocates say the number of people in Tennessee who wear a seat belt has gone up since the 2004 law was enacted. "It's not something we're doing to invade their privacy or tell them what to do," Poole said. "It's simply a matter of making good decisions and saving your life and those of your passengers." According to the National Highway Traffic Administration, the share of Tennessee drivers wearing seat belts increased from about 68 percent in 2004 to about 81 percent in 2008. The nationwide Click It or Ticket campaign has a goal to boost the number to 90 percent. "If we could get to 90 percent, think of how many lives we could save," Poole said. Sarah Haverstick, a safety coordinator at Monroe Carell Jr. Children's Hospital at Vanderbilt, said she reminds people that how they wear a seat belt is just as important as wearing one. People, especially children, will sometimes stick the shoulder belt behind their backs. "The shoulder belt is what is helping keep you in and safe," said Haverstick, a lead organizer for the hospital's Safe Kids Coalition. She also said many child restraint systems are not properly installed or children are not in age-appropriate restraints, increasing the chance they will be hurt. Neth, the Murfreesboro resident, said he had two friends who were involved in an accident and were wearing seat belts. One friend died and the other was seriously injured. "Police told my friend if he wasn't wearing his seat belt, he wouldn't have been as severely injured," said Neth, who wears his seat belt, though not all the time. "It should be a matter of individual choice." By Michael Cass • THE TENNESSEAN • May 15, 2009 Michael Craddock and Vivian Wilhoite, second-term members whose tenures as district representatives will run up against term limits in 2011, say they plan to run for countywide elected offices — full-time jobs that pay six-figure salaries — in a year. Wilhoite, who represents parts of Antioch and southeast Nashville, plans to take on Juvenile Court Clerk Vic Lineweaver. Craddock, who represents part of Madison, won't say what position he's running for in elections that also will decide Davidson County's sheriff, trustee, clerk, register of deeds and other posts, though many politicos expect him to challenge Criminal Court Clerk David Torrence. "I am going to run," said Craddock, whose campaign signs say only: "Michael Craddock — May 4, 2010." "But I'm not going to announce for a good while. It's way too early. A year is an eternity in politics. But I am going to run for a countywide office." Each politician is looking ahead to the May 4, 2010, primary elections as the council welcomes Kristine LaLonde, who recently won a special election in the Hillsboro Village-12th Avenue South district. Her swearing-in brought the legislative body back to a full 40 members. LaLonde succeeded Keith Durbin, who resigned in January to become a Metro department head. Vice Mayor Diane Neighbors, the council's president, said she's not concerned about the possible departures. The vice mayor typically assigns one of the five at-large council members to fill in temporarily for a district member who leaves, which isn't uncommon. "We lost one a year last term," Neighbors said, referring to one member's death and four resignations — including two to run for office — between 2003 and 2007. "Folks are going to make their choices." Seeking public approval Wilhoite, a Mississippi native who has lived in Nashville since enrolling at Tennessee State University in 1981, said she wants to remain in public service. She's been a councilwoman for almost six years and an employee of the Tennessee Regulatory Authority for 22. She said she's drawn to the Juvenile Court clerk's race because, as the mother of two African-American boys, she has a vested interest in a population the court deals with frequently. "Those files have a name," she said. "Those files have faces. They have experiences." Wilhoite, who says she is "about 45" and married, said she isn't running to prevent Metro school board member Karen Johnson, her Antioch-area political rival, from winning Lineweaver's job. Wilhoite defeated Johnson in a runoff council election in 2003 after finishing second to Johnson in the general election. "It's not about Karen," Wilhoite said. "It's about Vivian asking for the respect and support of Davidson Countians." Running against waste Craddock, 53, a real estate agent, frequently rails against what he sees as wasteful spending of taxpayer money. He said that's what's driving his new plans. "I see so many problems and so much waste in government," he said. "And I've got 30 years in the real estate business, and I think I have something to bring to the table. I bring a different perspective, and I'm interested in offering it up in a different way than I have on the council. … I think I can do better than some of these career politicians." Craddock, a lifelong Nashville resident, is married and has an adult son. Contact Michael Cass at 615-259-8838 or mcass@tennessean.com. FRIDAY MAY 15 Antioch High School, Municipal Auditorium, 7 p.m. David Lipscomb High, Lipscomb University Allen Arena, 7 p.m. Lighthouse Christian School, Lighthouse Baptist Church, 7 p.m. Metro Christian School, Metro Baptist Church, 7 p.m. SATURDAY, MAY 16 Goodpasture Christian School, Fine Arts Center on campus, 10:30 a.m. Madison Academy, school gymnasium, 8:30 p.m. Nashville Christian School, 8063 Highway 100, 10 a.m. SUNDAY, MAY 17 Glencliff High School, Grand Ole Opry House, 4 p.m. McGavock High School, Municipal Auditorium, 3 p.m. Stratford High School, Tennessee State University Gentry Complex, 6 p.m. Father Ryan, Curb Event Center, Belmont University, day-long event MONDAY, MAY 18 East Literature Magnet, Belmont University Curb Center, 7 p.m. Hillsboro High School, David Lipscomb Allen Arena, 6 p.m. Hunters Lane High School, Municipal Auditorium, 7 p.m. Maplewood High School, Tennessee State University Gentry Complex, 6 p.m. MNPS Middle College High, Cohn Adult Auditorium, 7 p.m. Nashville School of the Arts, Grand Ole Opry House, 7 p.m. Cohn Adult High School, Cohn Adult Auditorium, 4 p.m. TUESDAY, MAY 19 Hillwood High School, David Lipscomb Allen Arena, 6 p.m. Hume-Fogg High Academic Magnet, Sommett Center, 7 p.m. Overton High School, Belmont University Curb Center, 7 p.m. Pearl-Cohn High School, Tennessee State University Gentry Complex, 6 p.m. WEDNESDAY, MAY 20 Martin Luther King Jr., Grand Ole Opry House, 6 p. m. FRIDAY, MAY 22 St. Cecilia Academy, campus courtyard, 6 p.m. SATURDAY, MAY 23 Whites Creek High School, Tennessee State University Gentry Complex, 10 a.m. Donelson Christian Academy, Hermitage Hills Baptist Church, 10 a.m. Ezell-Harding Christian School, school gymnasium, 2 p.m. Davidson Academy, Upper School gymnasium, 10 a.m. Pioneer Christian, school gymnasium, 10 a.m. MONDAY, MAY 25 Harpeth Hall School, on campus, 6 p.m. THURSDAY, MAY 28 Montgomery Bell Academy, on campus, 6:30 p.m. Ensworth, Devon Farms campus, 6:30 p.m. FRIDAY, MAY 29 Tennessee School for the Blind, school auditorium, 10 a.m. SUNDAY, MAY 31 University School of Nashville, Magnolia Lawn/Peabody Green, 2 p.m.
Posted 5/13/2009 10:50 AM ET CHATTANOOGA, Tenn. (AP) — A new veterans clinic for women only is opening in Nashville and officials say it is one of the most comprehensive Veterans Affairs women's care clinics in the country. MaryAnn Woodward-Smith, who oversees women's care for the Tennessee Valley Healthcare System, said the clinic opening Wednesday is a sign that the VA is expanding services to women, who have been underserved in the male-dominated military. The Chattanooga Times Free Press reported the clinic on Charlotte Avenue is separate from the main VA hospital campus and is staffed entirely by women. Retired Marine Stacey Hopwood of Clarksville said progress is not just about access to health care, but also getting the VA to recognize that women are veterans, too. ___ Copyright 2009 The Associated Press. All rights reserved. This material may not be published, broadcast, rewritten or redistributed. Tennessean May 13, 2009 DAVIDSON COUNTY Metro Nashville Schools is considering a $1.1 million adult high school that would place dropouts and struggling students on a fast track to earning a high school diploma. The school would open next year and serve hundreds of students with morning, afternoon and evening classes. Students age 17-21 who have completed 10th grade could earn two course credits every eight weeks at two locations, tentatively planned for the Old Cockrill Building and Opry Mills Mall Career Center. The schools would replace some of the adult education services being offered at Cohn Adult High School, said school officials, and therefore would not be an additional cost. "This is a no-frills education," Register said. "This is get a diploma and graduate from high school for students who can't do a traditional high school routine." Students would be responsible for their own transportation and would have to earn the same number of credits and pass the same exams as traditional students, according to school officials. The board members will have to OK the school before it can open next year. Police, fire units are included By Colby Sledge • THE TENNESSEAN • May 13, 2009 Tennessee mothers will have more places to turn over newborns to the state under a bill passed last week by lawmakers and awaiting signature by Gov. Phil Bredesen. But the key organization in promoting the program's expansion may not have the funds to inform mothers of the pending change. The bill, SB 1714, expands such "safe haven" sites to include police departments, fire departments and emergency medical services facilities, as long as they are staffed around the clock. Hospitals, birthing centers, community health clinics and walk-in clinics are already designated as newborn drop sites under the law. At least 22 children have been turned over to the state under the Safe Haven law since 2004, said Shannon McCloud, executive director for Maryville-based A Secret Safe Place for Newborns of Tennessee. "If adding these locations just saves one baby, it's definitely worthwhile," McCloud said. Tennessee passed its Safe Haven law in 2001, after a newborn girl died shortly after being found in a shed in Townsend, Tenn. The baby's teenage mother had abandoned the child. Under the law, mothers can turn over their unharmed children within 72 hours of birth to employees of the eligible locations. Employees can ask mothers about the family and the child, but the mother does not have to provide any information. All 50 states have enacted some form of the Safe Haven law, according to the National Safe Haven Alliance, and many already include police and fire departments as safe places. Nebraska's state legislature brought national attention to Safe Haven laws in 2008 when it passed a version of the bill that did not include age limits, leading to several cases in which parents from across the country abandoned their children, including teenagers, at locations throughout the state. Metro police spokesman Don Aaron said the department's downtown headquarters probably would be the only Metro police building to fall under the expanded provisions. "Once the bill is signed into law, we'll brief Police Department personnel on how we'll comply with it and things we should watch for," Aaron said. Governor likely to sign Bredesen is likely to sign the bill into law, but funds to inform Tennesseans of the expansion may be in short supply. A Secret Safe Place has received $25,000 of its annual $60,000 budget from a state grant for each of the last three years. The state funds have been used to provide information to mothers turning in children and to advertise the law in locations including health clinics, colleges and universities. This year, the money isn't in the state budget, said bill sponsor Sen. Doug Overbey, R-Maryville, who co-founded the Tennessee chapter of A Secret Safe Place and serves as unpaid legal counsel. "We're just going to have to roll up our sleeves and redouble fundraising efforts," Overbey said. "The mission is important, and we'll have to continue to get the word out that there are safe havens in Tennessee." It’s that time again to celebrate the Great American Clean-up, which is conducted annually March 1-May 31. The Metro Council kicked off this event by passing Resolution 2009-654. With the help of Mayor Karl Dean, Metro Public Works and the Beautification Commission and various community businesses and organizations, the Resolution is a show of unanimous support for this countywide initiative that encourages everyone to participate. There is still time for you to participate! Here are some very important dates that you can get involved city wide and district wide in upcoming beautification events. Step may speed insurance for all By Ricardo Alonso-Zaldivar and Philip Elliott • ASSOCIATED PRESS • May 11, 2009 WASHINGTON — President Barack Obama's plan to provide medical insurance for all Americans took a big step toward becoming reality Sunday after leaders of the health-care industry offered $2 trillion in spending reductions over 10 years to help pay for the program. Hospitals, insurance companies, drugmakers and doctors planned to tell Obama today that they'll voluntarily slow their rate increases in coming years in a move that government economists say would create breathing room to help provide health insurance to an estimated 50 million Americans who now go without it. With this move, Obama picks up key private-sector allies that fought former President Bill Clinton's effort to overhaul health care. Although the offer from the industry groups doesn't resolve thorny details of a new health-care system, it does offer the prospect of freeing a large chunk of money to help pay for coverage. And it puts the private-sector groups in a good position to influence the bill Congress is writing. 'Unprecedented commitment' Obama has offered an outline for overhauling the health-care system, and he wants Congress to work out the details and pass legislation this year. His plan would build on the current system in which employers, government and individuals share responsibility for paying the cost, and in which care is delivered privately. The government would play a stronger role by subsidizing coverage for many more people and spelling out stronger consumer protections. "We cannot continue down the same dangerous road we've been traveling for so many years, with costs that are out of control, because reform is not a luxury that can be postponed, but a necessity that cannot wait," Obama said in prepared remarks the White House released Sunday. "That is why these groups are coming together to make an unprecedented commitment." Industry compelled to act The industry groups are trying to get on the administration bandwagon for expanded coverage now in the hope they can steer Congress away from legislation that would restrict their profitability in future years. Insurers, for example, want to avoid the creation of a government health plan that would directly compete with them to enroll middle-class workers and their families. Drugmakers worry that in the future, new medications might have to pass a cost-benefit test before they can win approval. And hospitals and doctors are concerned that the government could dictate what they get paid to care for any patient, not only the elderly and the poor. Obama has courted industry and provider groups, inviting their representatives to the White House. There is a sense among some of the groups that now may be the best time to act before public opinion, fueled by anger over costs, turns against them. It's unclear whether the proposed savings will prove decisive in pushing a health-care overhaul through Congress. There's no detail on how the savings pledge would be enforced. And, critically, the promised savings in private health-care costs would accrue to society as a whole, not just the federal government. That's a crucial distinction because specific federal savings are needed to help pay for the cost of expanding coverage. Lawmaker wants FTC to investigate harassing calls By Karen Matthews • ASSOCIATED PRESS • May 11, 2009 Americans increasingly are receiving calls with a computerized voice saying, "This is the final notice. The factory warranty on your vehicle is about to expire," or something similar, several times a day on their cell or land lines. The calls come even if a person has signed up for the national "do not call" registry. Now, Sen. Charles Schumer of New York wants a federal investigation into the "robo-dialer harassment." "Not only are these calls a nuisance, but they tie up land lines and can eat up a user's cell phone minutes, possibly leading to a higher cell phone bill due to overage charges," Schumer, D-N.Y, said. Meanwhile, officials in 40 states are investigating the companies behind the car-warranty calls. Michelle Corey, president and CEO of the Better Business Bureau in St. Louis, said the industry is based largely in the St. Louis area and generates thousands of complaints a year. She said a group of companies began operating in Missouri in the mid-1990s that offered extended repair warranties to people whose manufacturer-issued warranties were about to expire. Within a few years, about 35 firms were offering similar services. "It's a very lucrative industry," Corey said. The companies offer contracts akin to insurance policies, pledging to pay for car repairs in exchange for fees paid upfront. The companies call numbers randomly and leave messages telling people that their auto warranties are about to expire — whether or not they even own a car. Some companies also send out cards that mislead recipients into thinking that their vehicle has been subject to a safety recall, Corey said. If people call back and agree to buy a policy, Corey said, the companies often don't let them see the contract until they agree to pay. Victims lose thousands Some scam victims don't learn until it is too late that the deals don't cover many types of repairs, Corey said. "Some people are losing thousands and thousands of dollars in purchasing a product that turns out to be useless," she said. The Federal Trade Commission, which already operates the do-not-call list, should work with state and local authorities "to find the scam artists and shut their operations down," Schumer said. "This is an annoying scam whose perpetrators have found a way around the do-not-call list," he said at a news conference in his Manhattan office. "The FTC has to track them down and then shut them down to put an end to this nuisance once and for all." Missouri authorities filed a lawsuit last month against one of the largest car-warranty companies, Wentzville, Mo.-based USfidelis, charging that company officials ignored a subpoena demanding that they answer questions about their business. A spokesman for USfidelis, which has more than 1,000 employees, said Sunday that there was "some confusion about the appearance date." The spokesman, Ken Fields, said USfidelis "treats every customer fairly and honestly." The company stopped making unsolicited marketing calls last year, he said. Corey of the Better Business Bureau said it is often difficult to know who is making the calls, because companies change names frequently and use telemarketing subcontractors. Schumer, who received a call last week, said a federal crackdown is needed. "A few states have tried, but we need national action," he said.